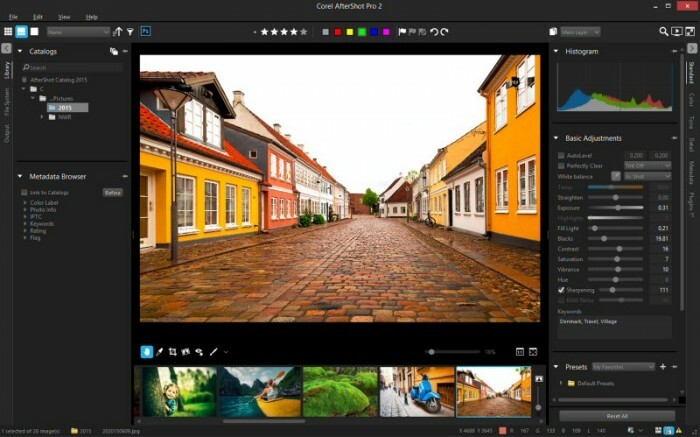 Corel has updated AfterShot Pro 2 to version 2.3 with a new feature that allows you to send files to Photoshop from within AfterShot Pro. Additionally, version 2.3 adds RAW file support for the Canon 5Ds and 5Ds R.
AfterShot Pro is Corel’s alternative to Lightroom. It is a RAW file editor that is available for Windows, Mac and Linux. 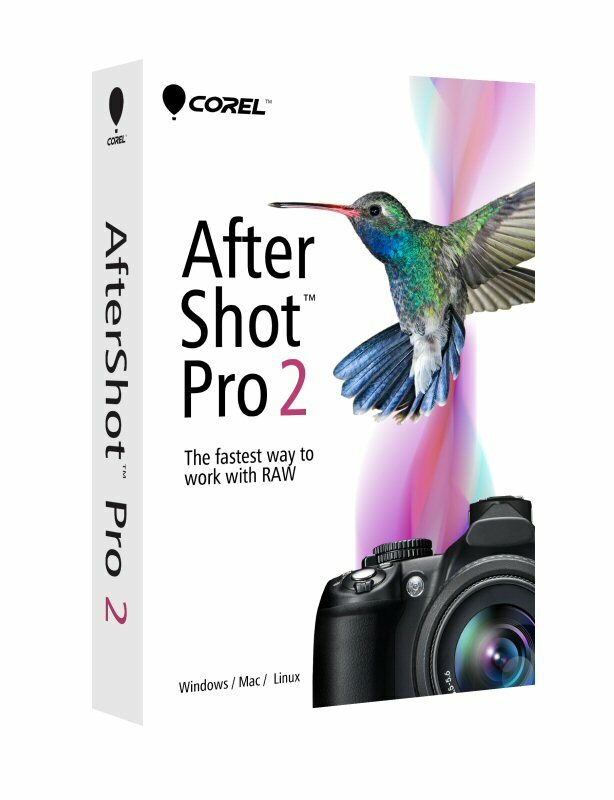 AfterShot Pro 2 retails for $79.99 and Corel is offering a short discount of 50% through November 6 when you use the coupon code ASP23 at AfterShotPro.com. Corel bought Bibble, which was the fastest raw program available. I was using Bibble for quite some time, and downloaded a trial of Lightroom just to see what all the buzz was about. I couldn’t believe how much slower Lightroom (version 2) was compared to Bibble, and gave up in less than a week. Later, I came back to Lightroom for the LR3 Release Candidate, and eventually suffered through it, only because it’s the most popular program, but not the fastest. Been suffering speed issues ever since. If Corel is still building on previous versions of Bibble, I’d imagine this is a really fast raw conversion engine. I’ve been following AfterShot Pro since the first release back in January 2012. One of the things that I like is the speed but also they have been masking RAW files since the start, which is probably a carryover from Bibble. There’s definitely some smart tech in there. One of the things that makes it hard for me to get away from Lightroom is the file management. I haven’t looked into what AfterShot is doing for file management in the most recent version, but I dislike the file tree management system in the prior version. But that is probably what makes it so fast too. I’ve become used to Lightroom’s crippling speed, and am too integrated to make any changes, unless they’re going to bring dramatic results. Lately I’ve been hearing about photogs using Photo Mechanic for the initial culling of images, then going into Lightroom. I might check that out, but it would still make more sense to have a faster version of Lightroom, rather than add one more program to my workflow. I still can’t figure out why Lightroom doesn’t allow exporting PNG files. If they can add HDR and panoramas, why can’t they do this one simple thing!?!? 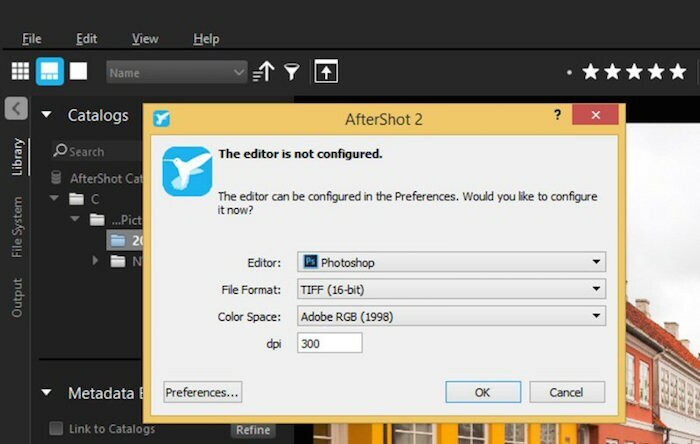 I’ll bet AfterShot Pro exports PNG files! Photo Mechanic is pretty great. I did a review of it 5 years ago and I’m sure it has improved even more by now. Pretty sure that every sports photographer uses this on game days. Hi Eric, thanks for covering our latest update – appreciate you helping to spread the word that alternatives for photographers are out there! We’ve found a lot of folks really enjoy the file tree method and so we’ve left the choice up to you. You can choose to work in file tree view or you can import to a catalog–both are possible in AfterShot. File management has remained largely the same in the new update and yes, as you suspected, not having to re-arrange your files definitely helps keep things moving quickly. Thanks again, Eric–cheers!